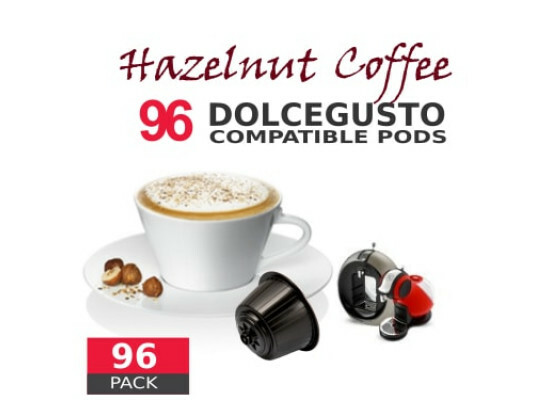 Hazelnut coffee is an amazing sugar free drink. Enjoy at any time of they day. 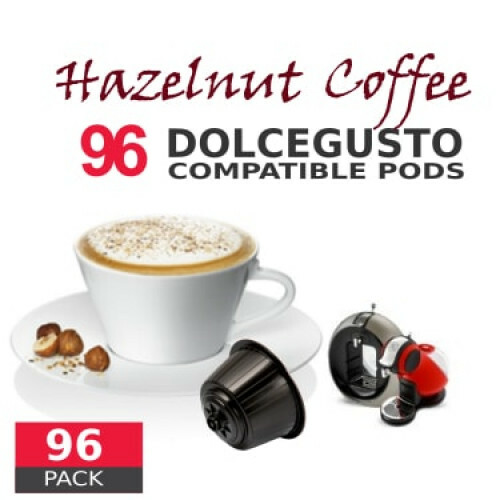 The best drinks in capsules come in a 16-capsules sealed pouch and are patented and certified to be compatible with the following Dolce Gusto® machines (Circolo™, Creativa, Fontana, Jovia, Genio™, Esperta™, Melody, Mini me™, Oblo, Piccolo). Packs of 96 capsules ready for use.